Does Rising Interest on Excess Reserves Create Political Risks? Banks have become accustomed to taking heat from politicians in the aftermath of the 2008 financial crisis. They should brace themselves, because they could soon be subject to renewed scrutiny as the Federal Reserve raises interest paid on excess reserves. The Fed started paying banks IOER in October 2008. It is a necessary mechanism as the Fed methodically lifts the fed funds rate off the zero lower bound. Without IOER, the Fed could have a difficult time raising rates as much as it would like. As rates rise, banks would likely lend out the excess reserves they hold at the Fed. 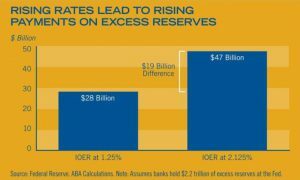 Those excess reserves become more profitable to deploy when rates rise. But those large reserves coming into the market would put countervailing downward pressure on market rates. 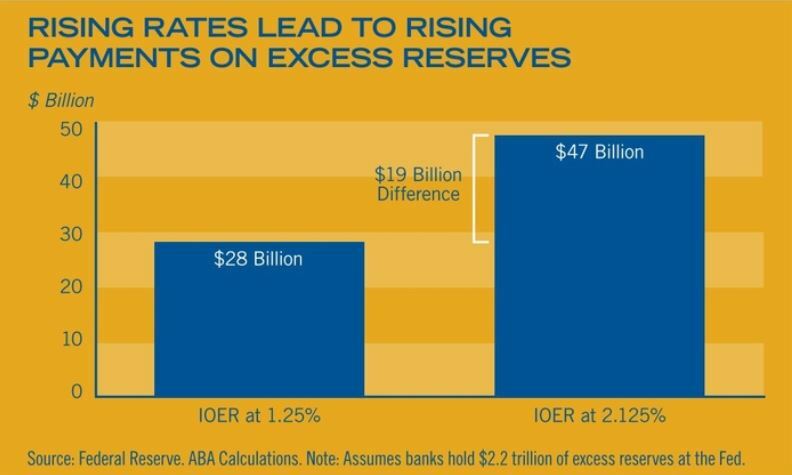 IOER gives the Fed a way to temper that effect by incentivizing banks to keep more of their excess reserves at the Fed than they otherwise would have. The rate the Fed pays banks on excess reserves matches the fed funds rate and so far the Fed has raised them in tandem. As of October 2017, those rates stood at 1.25 percent. Political risk arises because of the eye-catching extra amount the Fed will pay banks when rates rise further at a quicker pace, as expected. Banks hold roughly $2.2 trillion in excess of what they are required to with the Fed. If the Fed held the interest rate on these excess reserves constant at 1.25 percent over the next year, it would pay banks approximately $28 billion in 2018. 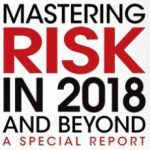 However, if it raises the rate to 2.125 percent by the end of 2018, as anticipated by the median expectation of the Fed’s most recent dot plot, that figure will rise by more than $19 billion over a full year. Such an increase is fodder for politicians ready to claim—incorrectly—that banks would rather be paid by the Fed then lend the money out. They will also claim—incorrectly—that the larger payments are hurting the federal government’s budget because the Fed will not be able to return as much money over the Treasury at the end of the year. That means banks need to be prepared. They need to make clear that IOER payments are not a subsidy for them and that they would rather lend out their extra reserves to businesses and families. IOER is an important tool for the Fed to manage monetary policy. Banks need to make this case because if the Fed succumbs to mounting political pressure, especially as changes occur within the Fed’s leadership, and alters its IOER policy, the effects could be severe for the economy and the banking sector. The sooner the Fed returns to normal monetary policy the better for everyone. In the meantime, banks should be on guard for the political risks that come from unconventional Fed actions and be ready to explain to the public why such steps are necessary. 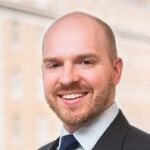 Curtis Dubay is a senior economist at ABA.